What can I use for blind baking a pastry case? When it comes to home-made desserts, tarts are always popular. 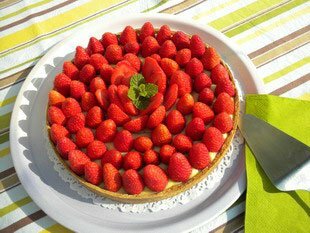 They can be divided into two basic types: those cooked with their filling, such as an apricot and almond cream tart, and those where the filling is added after baking the pastry case, such as a strawberry tart or chocolate tart. 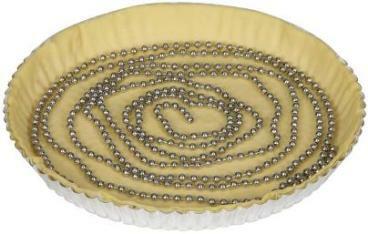 For tarts where the filling will be added later, we need to cook the pastry case "blind”, as pastry cooks say. 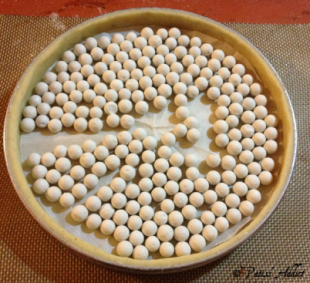 It won't do to simply to line the tart tin with the pastry and bake it empty – the pastry will puff up unevenly in big bubbles which will harden as they cook and the sides are likely to fall in. In short, a disaster. And this is even worse with puff pastry. This is a long string of stainless-steel beads which can be coiled in the pastry case. It's not too bad for keeping the bottom flat, but does little to stop the sides falling in. These are either metal or ceramic and can be poured in to give an even layer in the pastry case. They are quite effective (just don't use the aluminium ones), even for the sides. But they tend to be fairly large, so not good for small tarts. This method is as old as the hills and cheap: simply fill the pastry case with dried beans, peas or lentils – they are very effective. Use lentils if you can, as their small size makes them ideal for all sizes of tarts, even tiny ones and vol-au-vents. Of course, they can be kept and used again and again. I must have been using the same lentils for 25 years! You will have noticed that I have a preference for lentils, but you should form your own opinion and see what works best for you. - It's a good idea to put a sheet of cooking parchment between the pastry and the lentils or beads. This makes it much easier to remove them after cooking. 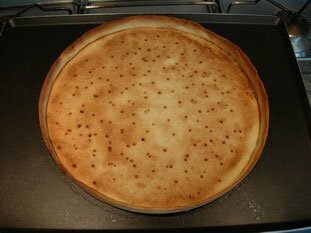 - To know when the pastry is done, check the edges: when the top of the pastry crust is nicely browned, the bottom of the case should be cooked. - After baking, the bottom of the pastry case might well still be very pale, unlike the browned edge. 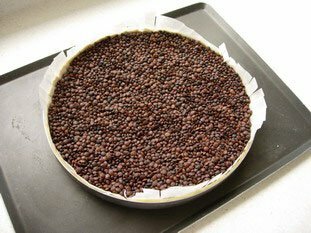 If this bothers you, remove the lentils and paper towards the end of the baking time and leave the pastry to cook uncovered in the top of the oven for a further 5 minutes. 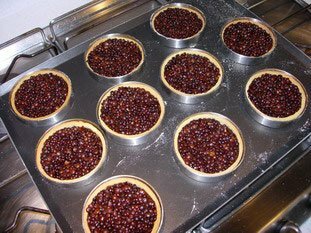 - Always leave a tart case to cool completely before filling, possibly on a wire rack, as this will help the pastry to stay crisp. To sum up: For blind baking, lentils make the best pie weights. Line the pastry with a sheet of cooking parchment before pouring them in. Is it really necessary to cream egg yolks?